Whether it’s Film, RED, Alexa, or Canon DSLR, Audio 911 provides the highest quality location sound. 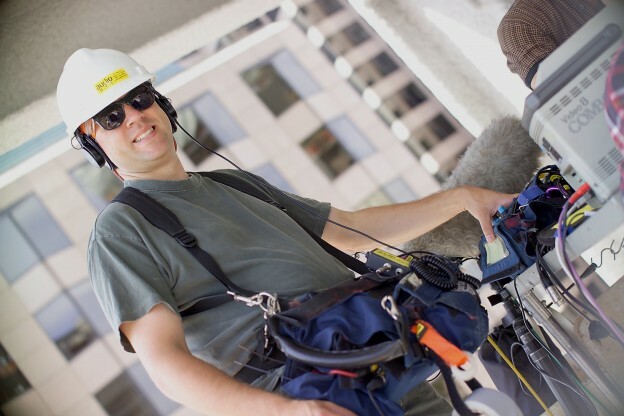 Audio 911 employs Sound Devices timecode recorders, Denecke smart slates, as well as Schoeps, Neumann, Sennheiser, and Shure wired microphones, Lectrosonics, Sennheiser, and Shure Digital UHF wireless microphones. We have two portable Pro Tools systems for multitrack location recording. Plus, we also provide wireless headphone feeds, wireless timecode feeds, wireless camera hops, and even a bullhorn for the most demanding directors and producers! Concentrate on the message-not the equipment. Audio 911 provides high-quality sound systems for all types of live events including corporate meetings, webcasts, and teleconferences. With over 20 UHF wireless microphones, telephone interfaces, automated audio mixers, and press boxes, your message is heard loud and clear.